Gummi DX Air Clutches are designed and manufactured to be utilised as high and low drum shaft clutches on draw-works. Interchangeable directly with National Oilwell's Dy-A-Flex Clutch, with the principal application being found on draw-works. Industrial Clutch Parts Ltd. distribute Gummi DX Air Clutch units suitable for various national draw-works in the oil drilling industry. Gummi DX Air Clutches provide a constricting style that is capable of handling the heaviest loads while withstanding continuous and repetitive engagements during the drilling process both for onshore and offshore applications. Manufactured to absorb shock loads and vibration to protect the drive components from the transmission. It has been designed for heavy-duty applications and has an open construction, which allows for high heat dissipation. Its ability to handle heavy loads, while withstanding repeated engagement and disengagements has made it a dependable performer. Gummi DX unit features a neoprene rubber enclosed diaphragm for clutch actuation. It is isolated from the source of heat, due to the open construction and utilisation of ventilated friction shoes which promotes air flow across the length of the shoe. Instead of utilising an independent enclosed air actuating tube like the Gummi FKT.  In addition, the DX Air Clutch is composed of expendable component parts, so the element can be completely rebuilt and restored.